A drainage team from Lanes Group has carried out a comprehensive programme of drain cleaning and repairs at one of Warwickshire’s top secondary schools. The drainage engineers have surveyed and cleaned hundreds of metres of pipework and completed dozens of repairs at The Polesworth School, in Dordon, near Tamworth. The work, carried out over several months, mostly during school holidays, was needed to upgrade the school’s drainage system which had been causing flooding in the school grounds during periods of heavy rain. The drainage system upgrade has been integrated with another big capital project to repair and recover flat roofs at the school. The work will provide a significant boost to the school, especially during winter months, when rainfall and pressure on the drainage system is at its highest. Flash flooding during periods of heavy rainfall is one of the main causes of temporary school and college closures, which is why maintaining surface water drainage systems is vital. Lanes has fully mapped the site’s drainage system, which will allow the school to plan further maintenance and upgrades as it develops with confidence. Mark Niland, Area Development Manager for the Lanes Birmingham depot, said the initial series of CCTV drainage surveys had revealed a range of problems with surface water and foul drains. These included collapsed pipes, deformed pipes, serious root infestation, blockages caused by silting, scaling, displaced pipe joints, and cracked pipes. Work carried out has included excavation and replacement of pipes, root cutting and descaling using high pressure water jetting, and the installation of multiple patch liners. 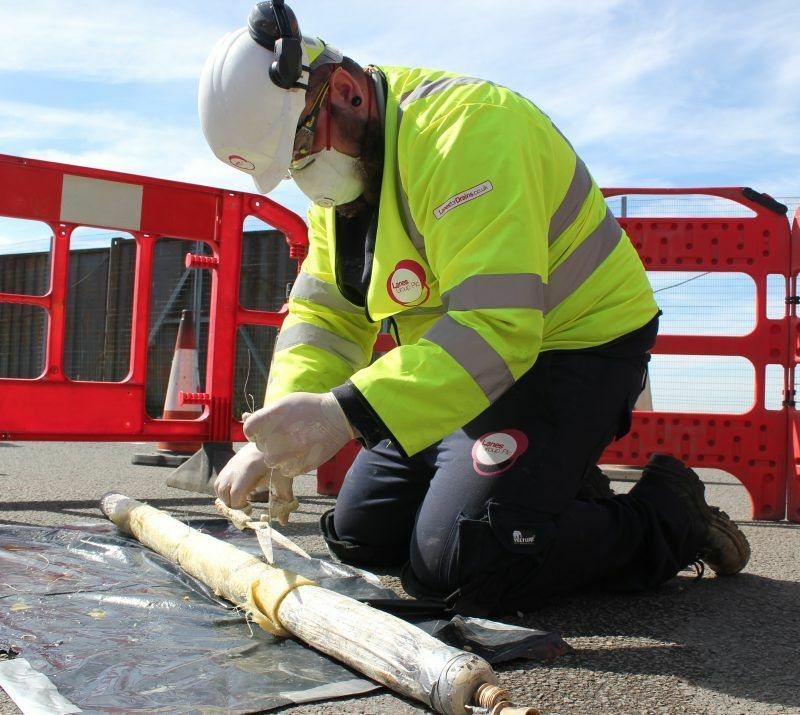 Patch lining is a rapid ‘no-dig’ technique, carried out by covering cracks in pipes with an internal resin-impregnated glass fibre sleeve, which avoids the need for a costly excavation. Lanes Group has also created a number of new gully access points for downpipes leading from the newly-refurbished roof.